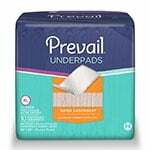 Prevail Adjustable Underwear, Super Plus Absorbency, Small/Medium Sold By Bag of 18 by First Quality is a dependable incontinence management product carried by ADW Diabetes. 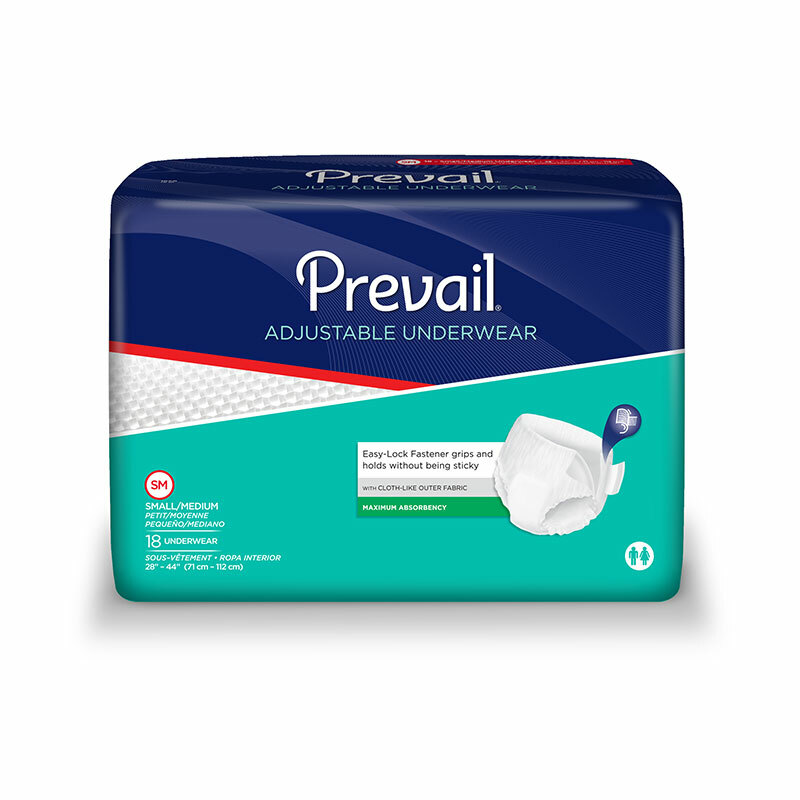 You are viewing the Prevail Adjustable Underwear, Super Plus Absorbency manufactured by First Quality - a leading manufacturer of incontinence management supplies and bladder control products. Prevaill® Adjustable Underwear features the same performance as the Prevail® Super Plus Underwear, plus MORE! With Easy to Grip Stretchable Reattaching Tabs, and easily opened side seams, Prevail® Adjustable Underwear is ideal for on the go or in-bed use. The wearer can pull up and down like regular underwear, or open the side seams, place the underwear through the legs (without removing clothing or shoes), and reattach with the Stretchable Side Tabs. Small/Medium Size - Waist/Hip: 28" - 46"
Target Acquisition Zone: Advanced core design and fast absorbing Blue Stay-Dry Strip improves skin dryness and reduces the potential for leakage, improving odor control, skin health and wearer comfort. Breathable Zone: Prevail Pant Liners do not fully surround the body allowing air to feely migrate to the wearer, improving skin health and comfort by reducing heat build up. A full length, adhesive strip for secure anchoring in wearer’s own underwear, providing wearer comfort and leakage protection. The cut of the pad is contoured with leg elastics to curve with the body for a more comfortable fit.